If you want to take shaving seriously, one thing you should learn about is straight razor maintenance. 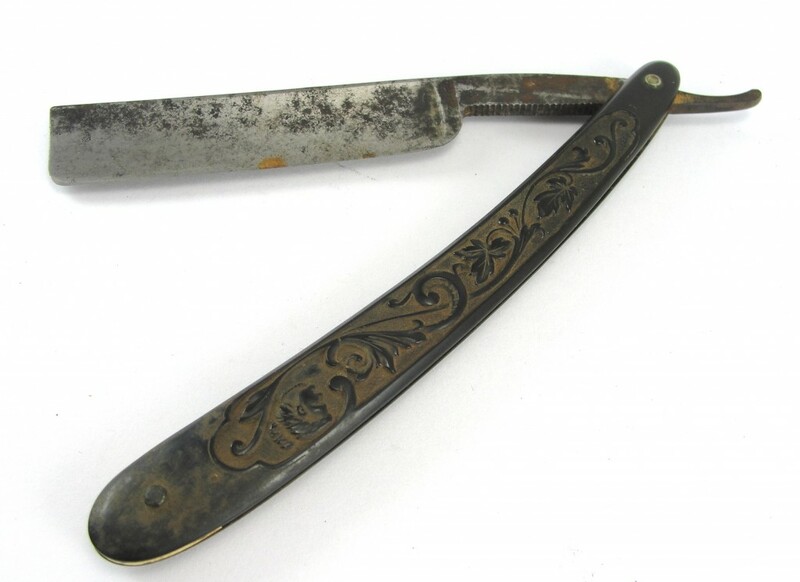 A strop is needed every time you use a straight razor. It cleans the crud off the blade, gives it a better edge, and as an added bonus, adds a meditative stage to the whole shaving experience. Learning how to use a hone can take a bit of time, but nothing will be better for keeping your blade sharp. It also increases your relationship with the blade, and makes you more of a man. This page is going to be walking you through everything you need to know about how to carry out that correct maintenance. For option 4, this is because many razor manufacturers like Dovo actually recommend you just start out using a strop on your blade. They say that it’s better to build up your razors sharpness as you increase your skill in both shaving and stropping. Honing is definitely something you can learn as well, but it’s not urgent. This Norton Japanese hone is probably one of the best available on the market right now and for the price you can currently get it, you know you're getting good quality for a reasonable price. I think everybody should learn how to hone a blade at some point. In the beginning you should get it done professionally though, then you will have something to reference when you learn how to do it yourself. 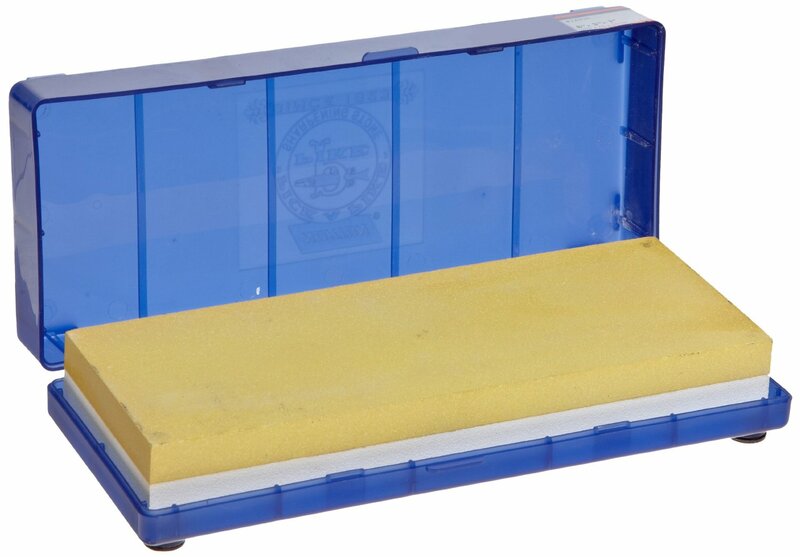 You will need to get hold of a sharpening stone, more commonly known as a “hone”. There are different degrees of hone though, so I would recommend you get hold of a 4000/8000 one. Note: Some people feel 8k is not enough and like to use a finishing stone, for a beginner though, 8k should be fine. If your blade doesn’t feel sharp after the first time, no problem. It takes practice. Re-watch the video and try again. Be patient. The hardest thing to master is using the correct pressure. As well as honing it when you first get it, and once every 3-6 months (depending on quality), you should be “stropping” the blade with every shave. Cheap strops don't last anywhere near as good as a quality one, so make this a one-off expense rather than several cheap purchases. What this means is: Using a leather strop to keep the blade in good condition. (See video below) http://www.youtube.com/watch?v=rgsEKpA4SUI So when is the best time to strop? and why? Stropping should be performed before you shave. It is essential if you want to keep your blade sharp and holding its edge, and giving you the closest shave properly. I would say 15-25 strops is the best amount, but it will depend on the quality of your blade and strop. Some people will also wipe the blade on a towel to dry it prior to stropping, I would suggest you can do this (use the same motions as with a strop) every now and then in addition to the strop. I had it pointed out to me by Em of ShavePlace.com that you shouldn’t strop a blade after the shave as it can break off the microscopic particles of the blade after use (when the blade is soft). Dovo recommend letting a razor rest for 24-48 hours before stropping again. I know what you are thinking: “Oh man, I have to buy the razor, the hone, the strop, what else?” Well, for maintenance purposes, that is it. Ok, so what hone and/or strop should I start out with?